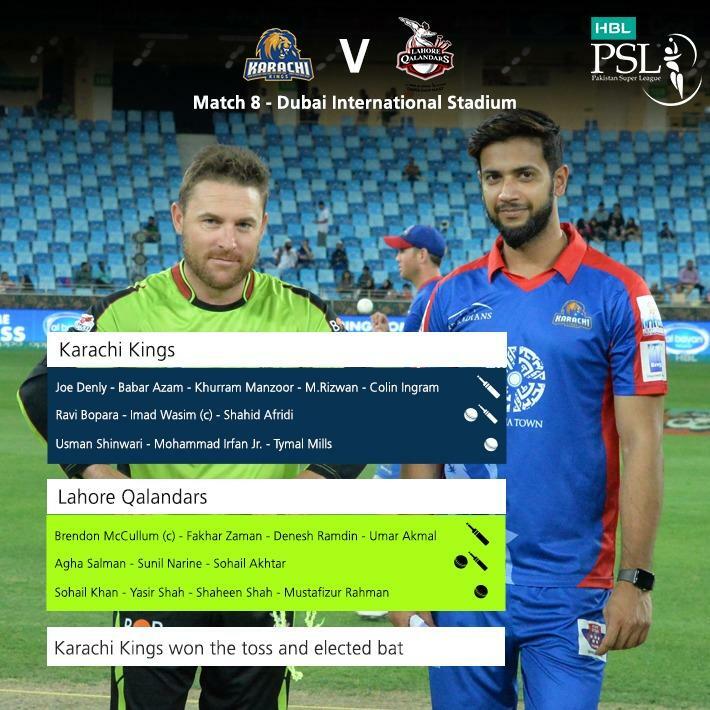 Discuss Karachi Biryani vs Lahori Pulao match!!!! Thanks God I saw score before voting otherwise I would have given it to KK. Afridi being Afridi....first ball six....second ball out......there you go! Does anybody feel like Mccullum not 100% into the game!? LQ needs to win this game to keep this tournament competitive and open! 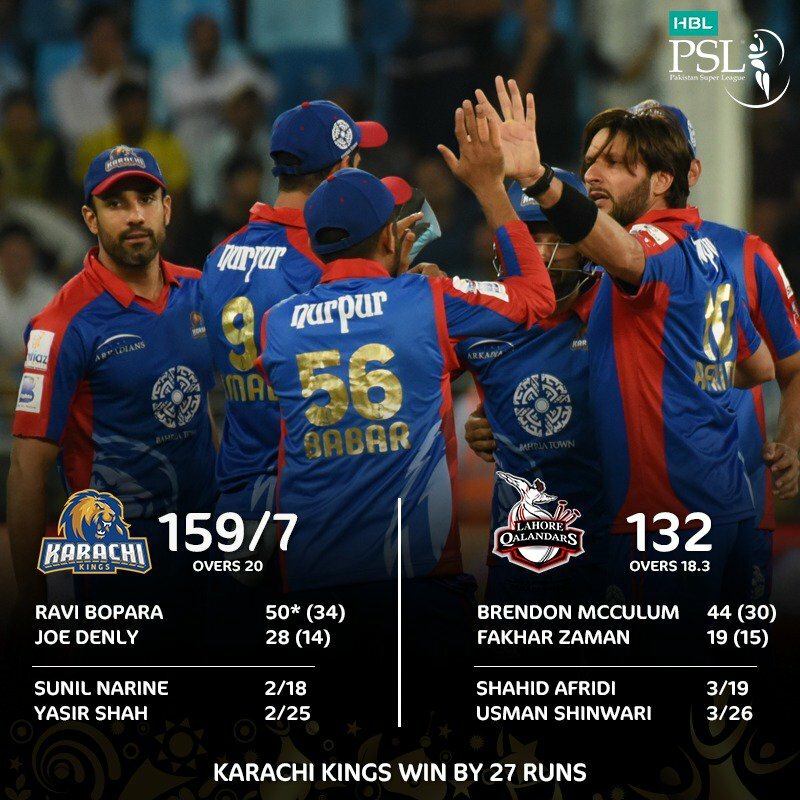 At the end its a good defend able score from Karachi. They just need to take a couple of early wickets and boom Qalandars will crumble. Our danger guy Fakhroo is here so there is still hope. He has been performing very good lately.